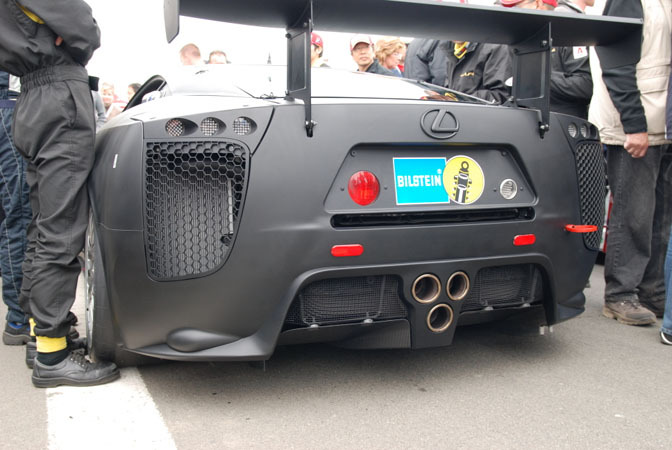 Thanks to Jimmyneutron on the UK GTR Register forum we can have a closer look at the Lexus LF-A race car. 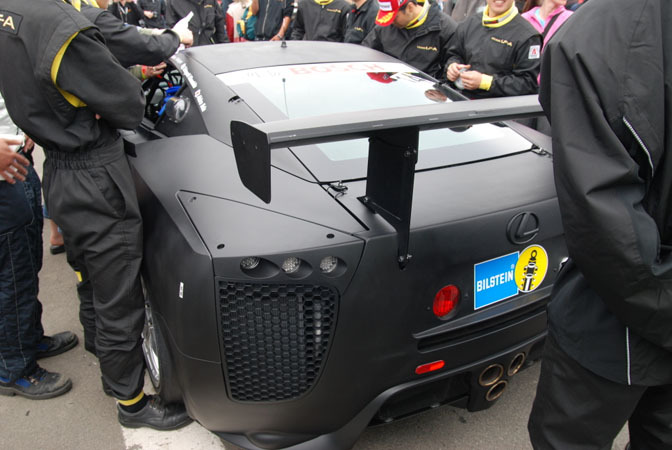 Lexus entered this car in the Nürburgring 24hr race this past weekend. It was still in disguise but we can clearly see how the actual car will look like in the end. 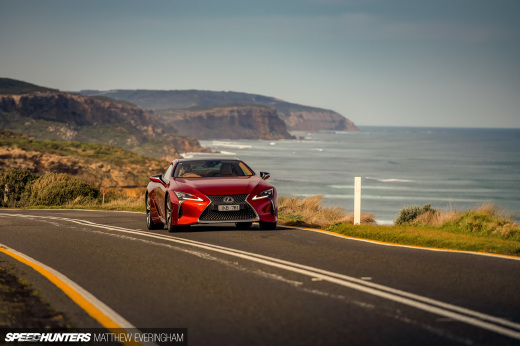 This is going to be a serious contender for the Nissan GT-R.
Wow! Menacing.... looks like an MR configuration. 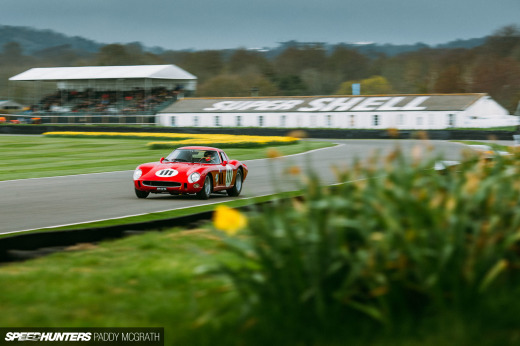 How did it do in the 24h race? I hope that exhaust makes it into production. As well as being able to see that radiator by the left vent in the last picture. I saw the concept in detroit this year and was unimppressed. To me it feels like "Lexus" tried to hard and left their passion outside at the door to the design studio. The whole thing seems cold and emotionless. 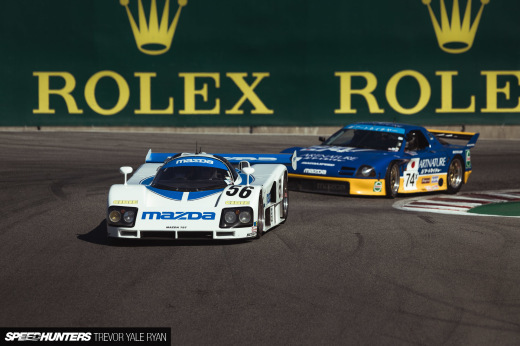 You know, as much as I enjoy seeing cars like the LF-A developed. I know that it would be a while before I could afford to buy and run one. I miss the days when Toyota focused on their compacts and subcompacts like the MR2s, Vitzs and Celicas. Cars that a young man like I could afford much more easily. So it's more...impartial that I look at this car right now. I think that's the reason why Toyota put Scion on the market. But then again, we do not have that brand in Europe. I would love to drive around in a Bb as a daily driver.